Intensives are intense. Running from morning to evening, from 8:30 am to 4 pm, stacked day after day, a lot of information and experiences are pushed together. One way people process is through group discussion and lecturer interaction. But there are other ways. In the intensive I co-taught last week, Church in Mission, I decided to explore processing through writing. In the programme, I set aside 55 minutes each morning. Before the intensive started I wrote, asking students to come prepared to write. If they wrote by hand, then bring pen and paper. If they wrote by laptop or Ipad, bring that. Writing is a “practice of care” (Writing for Peer Reviewed Journals: Strategies for getting published , 4). It is a major way by which knowledge is shared. Words written emerge from the internal work we do. Hence writing is a spiritual practice, that invites us to attend to self-awareness, our passions and vulnerabilities. 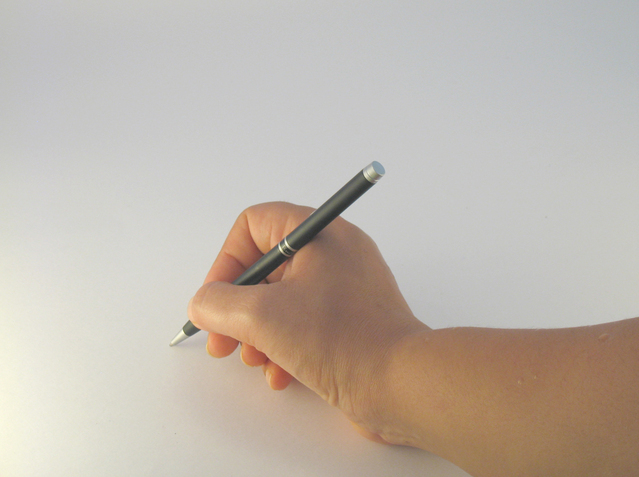 However, while writing is an essential skill, it tends to be taught informally. I did not receive any formal advice on writing during any of my undergraduate or postgraduate degree training. So over the last few year, wanting to take writing as communication seriously, I have read, reflected and refined my writing. The results have been encouraging. Last year I wrote 8 academic pieces (4 book chapters and 4 journal articles) and 9 industry focused pieces (plus my annual 11 film reviews for Touchstone). So I was keen to see what would happen in a class if given space to write. Each morning of the intensive last week, I offered a few minutes teaching on writing skills. On Tuesday, warm up exercises; on Wednesday, writing habits, on Thursday, tiny texts; on Friday, structures. These were drawn from sources like Pat Thomson, Writing for Peer Reviewed Journals: Strategies for getting published and Helen Sword Air & Light & Time & Space: How Successful Academics Write and Stylish Academic Writing . Then I simply invited people to write, whether to summarise the course in preparation for the first assignment or to report to their church leadership on learnings from the week of study leave. The quiet tap of keyboard and scratch of pen enveloped the class. As the writing time drew to a close, I invited folk to do two things. First, to count the number of words. Second, to note a few dot points of what they would do next. So that come the next morning, after a few more writing tips, they could climb back into the keyboard tap and pen scratch. The first morning, in trying to framing why we might do this, I asked folk to brainstorm the forms of writing they might be expected to do in their ministerial context. The list was extensive and together we realised the value of writing, and the need to think about and practise together the skill of writing. Feedback from participants was very positive, with writing mentioned every day in the daily debrief and in written class evaluations at weeks’ end. A tiny text is a miniature version of the whole. It has been applied to academic work by Pat Thomson. So here is a tiny text, a summary of what I was trying to do in Church in Mission: Theology in Changing Cultures, the week long intensive I taught last week for University of Otago/Knox Centre for Ministry and Leadership (in partnership with Doug Gay) . I offered it to students as the course progressed and as I challenged myself: could I, in around 350 words, summarise the week of teaching, including linking to assignments, course learning outcomes and each of the course readings. Mission can be defined as joining what God is up to in the world. This human response emerges from the conviction that God sends the Son and Spirit. Humans partner with God, including in resistance of evil, the making of all things new and expressing God’s life in the indigenous particularity of local contexts. This understanding of mission defines the church as willing to be sent beyond existing locations into liminal spaces; to pay attention to contexts; and to participate in discerning the patterning of God’s movement. 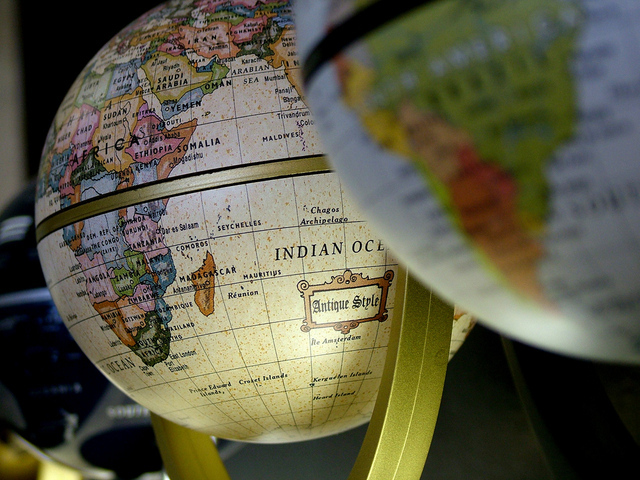 However, the sheer complexity of our global world suggests that no one size fits all. Further, the ongoing unfolding of our cultural contexts requires us to listen afresh to context and to respond appropriately in change. Analysis of history, for example in Classic Texts in Mission and World Christianity , enables a global and in-depth understanding of the resources of the Christian tradition (Assignment 1). One way to categorise the range of church responses is using the headings of resistance, innovation and indigeneity. Because of the unique relationship between theology and culture, each of these responses will have strengths and weaknesses. As we learn from the past, we gain insight for the present. We can understand the present as we engage in mapping cultural hermeneutics: listening to the cultural complexity of New Zealand today, including at micro, meso and macro levels (Assignment 2). Mapping is then followed by discerning which of the responses – resistance, innovation and indigeneity – the church might adopt. The re-forming that results is part of the churches ongoing participation in the unfolding mission of God (Assignment 3). Hence the three assignments will demonstrate a theologically rigorous and culturally informed understanding of re-forming Christian communal identity: past and future. The three assignments will bring together perspectives of global theology (Classic Texts in Mission and World Christianity ), contemporary cultures (mapping cultural hermeneutics) and ecclesial study of resistance, innovation and indigeneity in a critical and constructive dialogue. 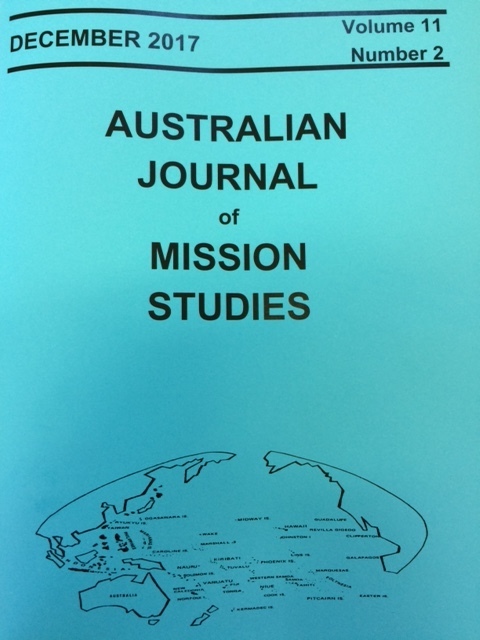 Delighted to have an article published in the Australian Journal of Mission Studies December 2017, Volume 11, 2, 28-35. Titled – Where does mission come from? The genealogy of Jesus in Matthew 1 as deep mission it notes first that we inhabit a geographic region in which for many cultures, genealogy is essential to knowledge and second the absence of genealogy in the work of missiologists like David Bosch and Chris Wright. Given that the gospel of Matthew begins the story of Jesus with genealogy, what are the implications for mission? We work in a region of the world in which for many cultures, genealogy is essential to knowledge. Given that Matthew begins the story of Jesus with a genealogy, I have considered the genealogy of Jesus as a starting point for mission. I began by noting the absence of the genealogy of Matthew 1 in contemporary Western missiology. Three important contemporary missiology texts make claim that Matthew 1 is important in the mission of God. Yet the genealogy garners little attention: gaining a minimal mention in David Bosch (Transforming Mission: Paradigm Shifts in Theology of Mission ) and Chris Wright (The Mission of God: Unlocking the Bible’s Grand Narrative ) and none in Senior and Stuhlmueller (The Biblical Foundations for Mission ). None of the three missiology texts show an appreciation of genealogy as genre or consider the way that genealogy might function as a distinct and important approach to epistemology and identity. However, when indigenous understandings are applied to Matthew 1, the missiology of the genealogy acquires great significant. Two indigenous texts were examined, one located in Aotearoa New Zealand, the other in Australia. Both stress that for indigenous cultures, knowledge must be located in relationship to ancient memory. One (Tangata Whenua: A History ), provides a mechanism, that of genealogy. Genealogy provides knowledge that is worthy of respect as it functions in ways that are replicable, rigorous and reproducible. 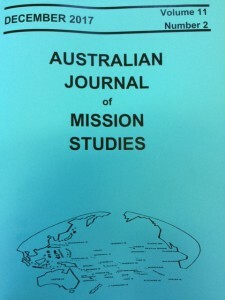 The other (“Mission in the Great South Land” in Colonial Contexts and Postcolonial Theologies: Storyweaving in the Asia-Pacific ), provides an invitation to value deep memory. It also provides an intercultural hermeneutic, in which the knowing of deep memory is parsed into beliefs, values and modes of teaching. This provides a further set of rich insights into genealogy; that the genre invites modes of teaching that are replicable, rigorous and reproducible; that the genre communicates beliefs and values worthy of deep respect. Thus indigenous scholarship offers a rich set of resources by which to approach the genealogy of Matthew 1. This insight has been tested in practice, in teaching on mission in one indigenous context. This teaching demonstrated the vitality of the genealogy of Matthew in framing mission as an ancestor story, a structured transmission in which God as the primary actor is weaving ordinary and indigenous people into the Messiah’s story. It is time that indigenous scholarship, in particular the role of genealogy in structuring knowledge and affirming deep mission, is respected in both the theory and practice of mission.